The emerging theory of CPR governance provides a consistent set of concepts and analytical tools to diagnose problems, provide a deeper understanding of the conditions under which local governance of CPRs is likely to occur, identify promising policy alternatives and shed light on the shape and form of productive relations between local-level governance arrangements and regional and national governments. One valuable use of the theory is to systematically compare surface water irrigation with groundwater irrigation. In so doing, the very real, but very different, challenges facing both types of irrigators are clarified. Local-level self-governance is possible in both settings, but it will probably exhibit different structural features and require different types of linkages with higher levels of government because of the diverse challenges presented by two contrasting physical settings: surface irrigation systems that are human-constructed CPRs, and groundwater basins that are naturally occurring CPRs. The governance challenges groundwater irrigators commonly face differ considerably from those faced by surface water irrigators. The differences result from the distinct physical structures of surface irrigation systems compared with groundwater basins and, consequently, the different water development paths that unfold between the two types of water systems. Marshalling the participation and resources needed to provide an irrigation system is closely tied to anticipating and addressing the inevitable appropriation dilemmas that will emerge. In many instances, water will be insufficient to meet all irrigators' needs all the time. Water allocation rules must be established, at least in a rudimentary form before the system is built, to provide assurance to farmers about the benefits they will likely receive from participating in the collective undertaking. Once the system is built, it must be maintained, requiring the creation of rules governing irrigators' contributions to system upkeep (Tang, 1992, 1994). Farmers will be more likely to abide by their maintenance requirements if the water allocation rules are functioning well. In turn, water allocation rules are likely to be more productive if the system is well maintained. In other words, provision and appropriation dilemmas are closely tied together in surface irrigation systems. Adequately addressing one set of dilemmas often requires adequately addressing the other. If that is accomplished, positive feedback between the two processes acts to support and sustain the system. Of course, the opposite is true as well. If appropriation dilemmas are not adequately addressed, provision is likely to falter, which will further exacerbate the appropriation dilemmas (Tang, 1994; Lam, 1998). [r]esource-related activities involved in irrigating - taking water from ditches, laboring on infrastructure development and upkeep - are especially open to mutual monitoring. Not only can one farmer observe another farmer along the same ditch, but upstream and downstream communities can observe what other communities are doing with respect to water use and infrastructure maintenance. Farmers can more readily determine and define the boundaries of their irrigation systems. They can monitor water flows and the variation in volume over time. They can experiment with different water allocation rules and determine which allocation methods better fit their particular physical setting. They can also readily monitor and observe one another's behaviour and determine whether water allocation or labour contribution rules are generally being followed. While the physical setting of surface irrigation systems is more conducive to the emergence and persistence of farmer-based management compared with groundwater irrigation settings, as will be discussed below, scholars have noted the challenges that farmers face in maintaining their governing systems over time. In particular, scholars have begun to explore the effects of heterogeneity on the performance of farmer-governed surface irrigation systems (Bardhan and Dayton-Johnson, 2002; Ruttan, 2004). Bardhan and Dayton-Johnson (2002) reviewed the findings of several large n studies of farmer-managed irrigation systems that devoted attention to heterogeneity. Across all of the studies, the effects of heterogeneity were consistently negative (Bardhan and Dayton-Johnson, 2002, pp. 104-105). Income inequality and asymmetries between head-enders and tail-enders was associated with rule breaking, poor system maintenance and poor water delivery performance. Landholding inequalities were associated with poor canal maintenance. Differential earning opportunities among irrigators were associated with lower rule conformance and system maintenance. Ruttan (2004) carefully reanalysed the data collected by Tang (1989, 1992) to explicitly examine the effects of different forms of heterogeneity on the performance of irrigation systems. In addition to the findings reported by Bardhan and Dayton-Johnson (2002), she found that variation in income had a negative effect on the likelihood that sanctions for rule breaking would be applied (Ruttan, 2004, p. 28). Ruttan (2004, p. 35) also found that sociocultural heterogeneity had a negative effect on rule conformance and system maintenance. Causal mechanisms have not been identified. However, a number of attributes of appropriators could be at work. For instance, differential earning opportunities could affect the salience (appropriator attribute 1) of irrigation systems for farmers. If irrigated agriculture becomes a secondary income source for some farmers, they may be unwilling to devote resources to the irrigation system. Sociocultural heterogeneity could impact trust and reciprocity (appropriator attribute 4). If irrigators speak different languages, or if they come from different ethnic traditions, communicating and developing cooperative norms may be very difficult. One of the most striking aspects of groundwater development is how rapidly it unfolds once a minimum level of technology and energy becomes widely available. Entry to groundwater basins is minimally restricted, with land ownership or leasing the only requirement for access. Depending on the setting, such as water table levels, even relatively poor farmers may access groundwater through inexpensive technologies. Even if farmers do not invest in their own wells, either because they do not have the necessary capital or their landholdings are too fragmented to justify a well, they may gain access to groundwater through markets (Shah, 1993; Dubash, 2002). Groundwater is widely adopted because of its high value. For some farmers it may be the only source of irrigation water, either because they do not have access to surface water irrigation, or even if they are within the command area of a canal system they may not receive water. For many farmers, groundwater is more reliable, timely and adequate than the water they receive from canal systems. For other farmers, groundwater may be more 'convenient' than canal water, even if canal water is reliable and timely. A farmer who owns a well that provides enough water for irrigation needs may opt out of a communal system and its various requirements and responsibilities, such as contributing labour and materials for canal maintenance. Compared to surface irrigation, developing groundwater entails substantially lower upfront production and transaction costs. Nature has provided a reservoir that is, at least initially, and in many cases, very easily accessed through a well. Consequently, production costs may be borne by a single individual or family. Transaction costs are also low. Farmers need not organize, bargain and negotiate over the development of an irrigation system and system design, or monitor and enforce commitments. Some farmers may form partnerships to raise the capital necessary to build a well; however, the transaction costs they face are substantially lower than those faced by farmers attempting to develop and build a surface irrigation system. The physical setting of groundwater basins acts as a two-edged sword. Groundwater basins are a source of relatively inexpensive, reliable irrigation water that may be developed by individual families, once technology and energy are readily accessible. However, at the same time, the physical setting presents extraordinarily difficult challenges that may confound irrigators' attempts to address appropriation and provision problems. 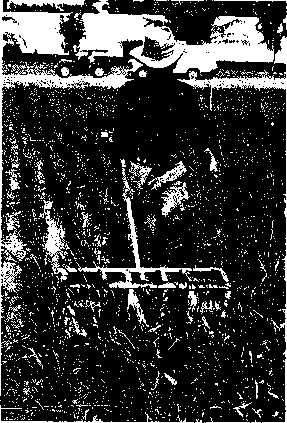 Unlike surface irrigation systems in which, through experience, observation and experimentation, the boundaries, capacity and variability of the system may be determined by irrigators, groundwater pumpers may never grasp the boundaries, structure or capacity of the 'invisible resource' they tap into without considerable assistance from engineers and hydrologists. Furthermore, unlike surface irrigation systems, in which irrigators may readily observe one another as they go about their daily farming activities, groundwater pumpers cannot easily determine the number of other pumpers, the capacities of their wells, how much water they are taking, the effects of their pumping on the overall productivity of the groundwater basin, etc. Thus, surface irrigators are more likely to develop norms of CPR management because of the information-rich environment within which they interact. Groundwater irrigators face an information-poor environment that makes it more difficult to develop self-governance norms (Rose, 2002). Judgments about general groundwater availability, whether or not water tables are declining, impacts of new uses on nearby wells or streams and ultimately the public welfare itself, all hinge on good data. . . . When data are sufficient to trigger groundwater controls, the damage has usually already been done and communities are heavily invested in the customary level of (over-)use. Tackling appropriation and provision problems is not easy (i) because of information problems; (ii) because solutions often require farmers to limit well building and to adopt limits on the amount of water they may pump, which they may perceive as threatening their livelihoods; and (iii) because monitoring the use of an easily accessed, but invisible, resource is costly and difficult. Assuring thousands of farmers that their conservation actions will benefit them and will not be siphoned off by others is not likely to be easy. The water development path in groundwater irrigation is very different than that in surface water irrigation. Farmers using groundwater do not have to organize, build and manage an irrigation system. They individually invest in wells that are used for irrigation. Farmers using groundwater are not confronted by appropriation or provision problems until long after they have become accustomed to the benefits of irrigation. When they do face dilemmas, they are more likely to face appropriation problems initially and provision problems later. Recalling Ostrom's resource and appropriator attributes, the following subsection argues that farmers are much more likely to organize to address appropriation problems than they are to address provision problems.4 Farmers are likely to address provision problems only with considerable assistance from higher-level governments.